At the presentation of The University of Scranton’s John L. Earl III Award to Rev. 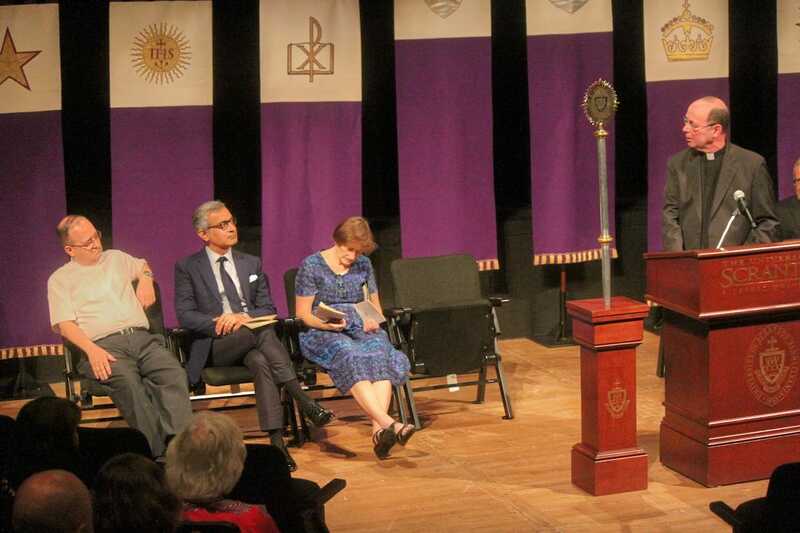 Ronald McKinney, S.J., professor of philosophy, are, from left, Karen Earl Kolon, M.D. ’85, daughter of the late John Earl; Pauline Earl, wife of the late John Earl; Father McKinney; Rev. Scott R. Pilarz, S.J., president; and Jeff Gingerich, Ph.D., provost and senior vice president for academic affairs. Rev. 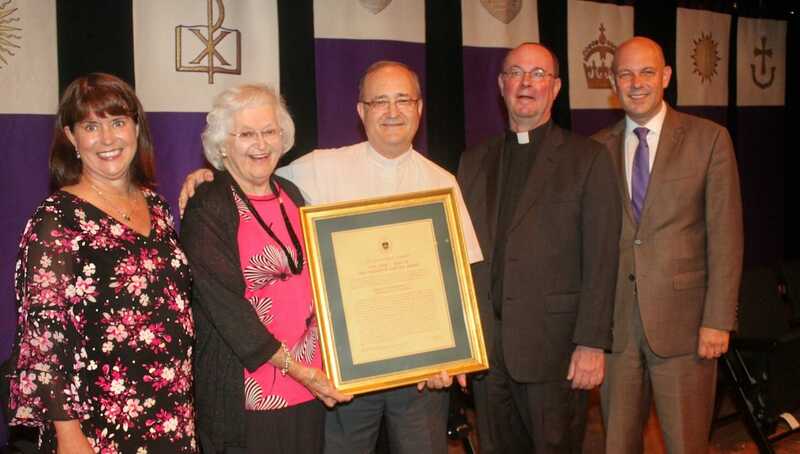 Ronald McKinney, S.J., Ph.D., professor of philosophy, received the John L. Earl III Award for service to The University of Scranton, the faculty and the wider community. 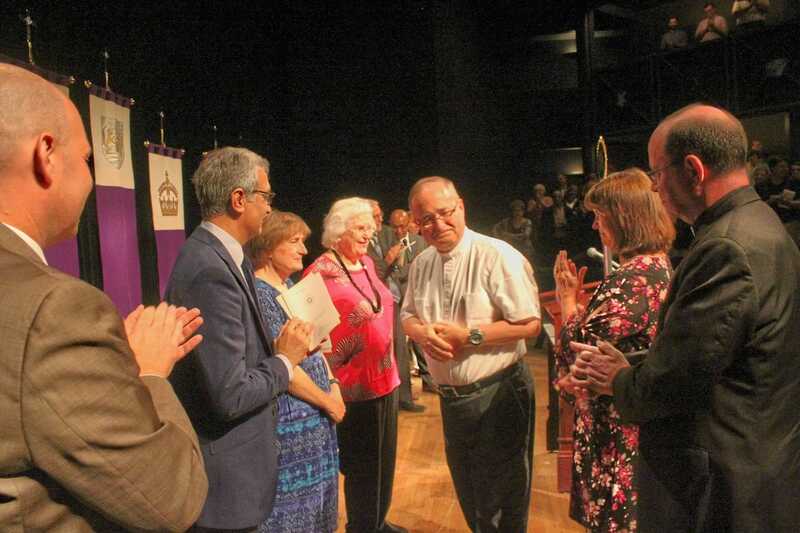 The award is given annually to a member of the University community who demonstrates the spirit of generosity and dedication that the late Dr. John Earl, a distinguished professor of history, exemplified during his years at Scranton from 1964 to 1996. “Whether he is directing Special Jesuit Liberal Arts Honors Program, teaching rigorous, innovative courses or writing prize-winning original plays, he unfailingly pursues the aim of Jesuit education and Jesuit life: to nurture men and women for others,” said Dr. Friedman. 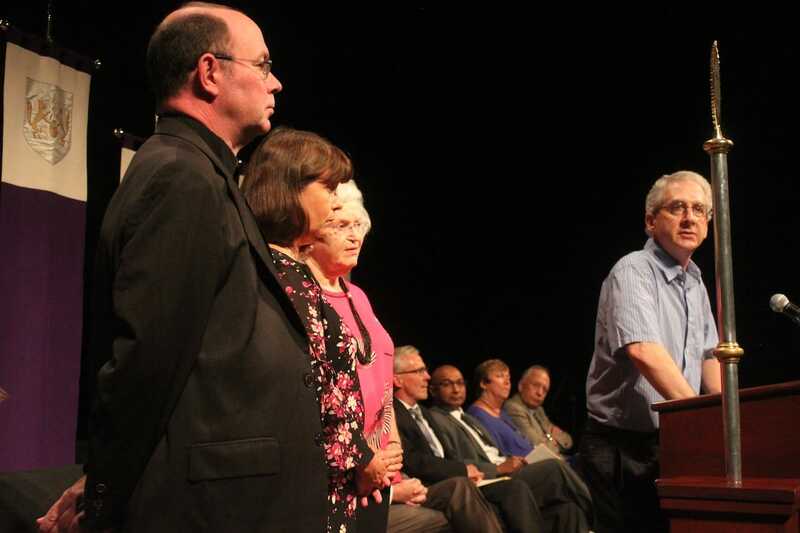 Father McKinney joined the faculty of the University in 1984 and served as director of the Special Jesuit Liberal Arts Honors Program from 1986 to 2010. In addition to teaching philosophy courses, Father McKinney also leads faculty seminars and workshops in Ignatian vision and pedagogy. During his more than 30 years at Scranton, Father McKinney has also served on several committees and initiatives, including currently as member of the Middle States Self-Study Working Group and the Health Professions Evaluation Committee. An award-winning playwright, Father McKinney earned his bachelor’s degree from the University of Maryland and master’s degrees from Weston School of Theology and Fordham University. He also earned his doctorate from Fordham University. 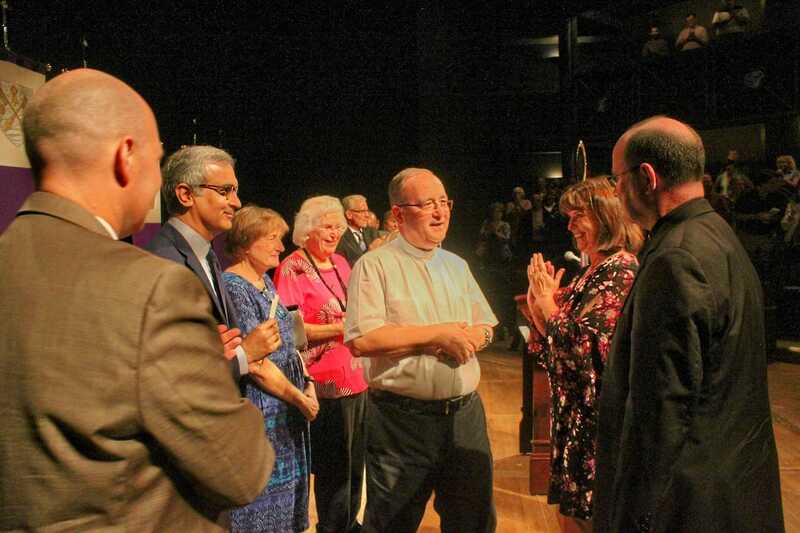 New faculty members were introduced and the John L. Earl III Award was present to Rev. 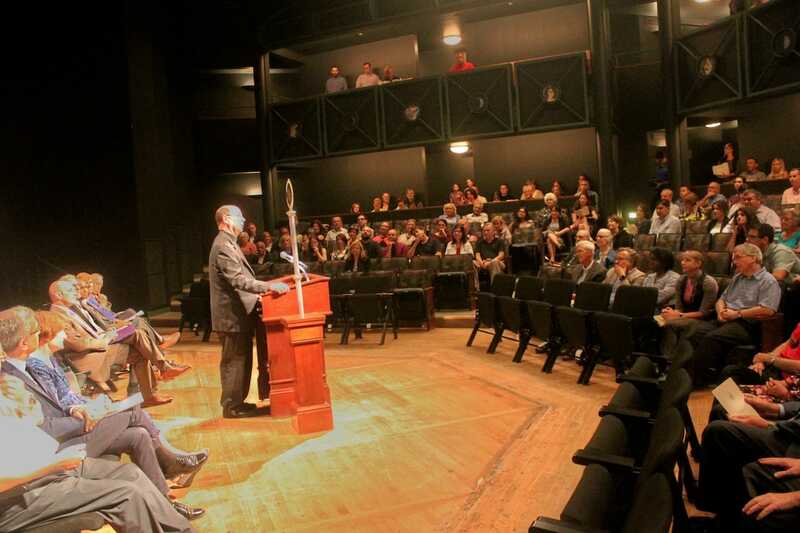 Ronald McKinney, S.J., professor of philosophy, at the Fall Convocation held in the McDade Center for Literary and Performing Arts. Rev. 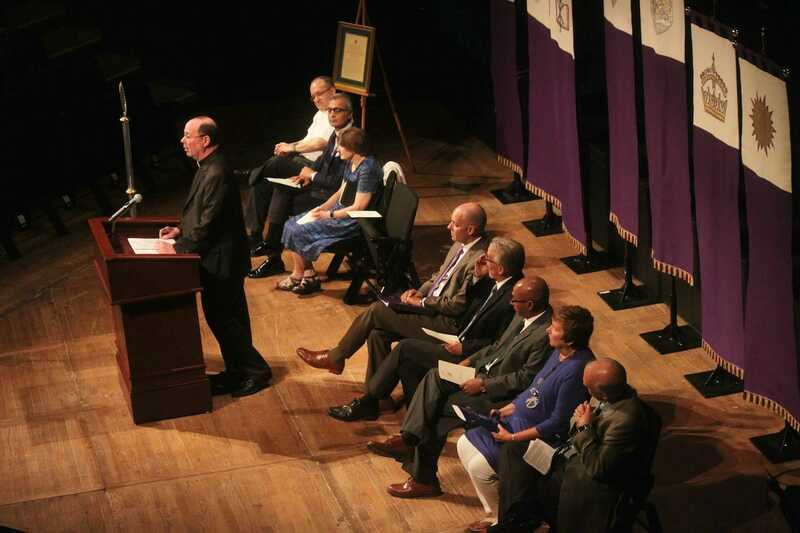 Scott R. Pilarz, S.J., president, also delivered remarks at the Convocation.